The PK:08 and PK:09 are a back pack style response tool designed and manufactured to the high standards Propak Manufacturing has come to be recognized for. 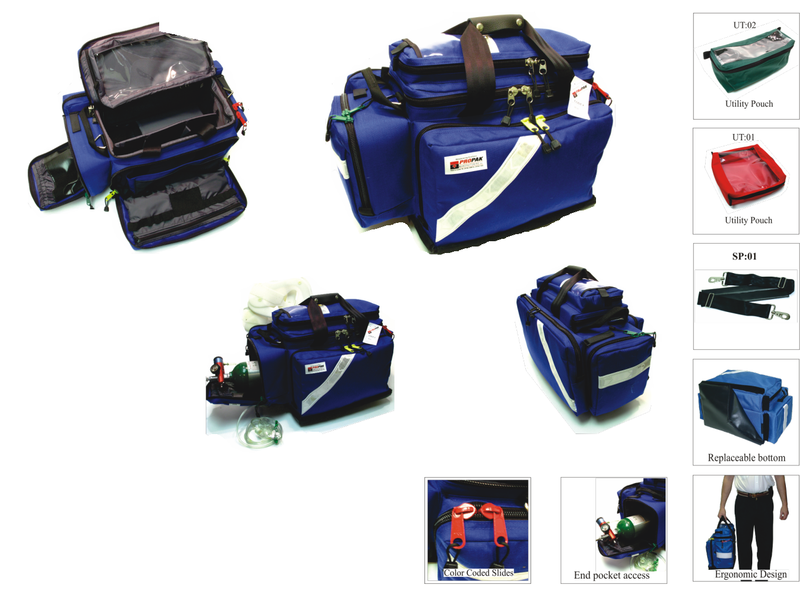 This commercial grade back pack is versatile and able to be configured in several different ways, making it migrate seamlessly into your deployment needs. 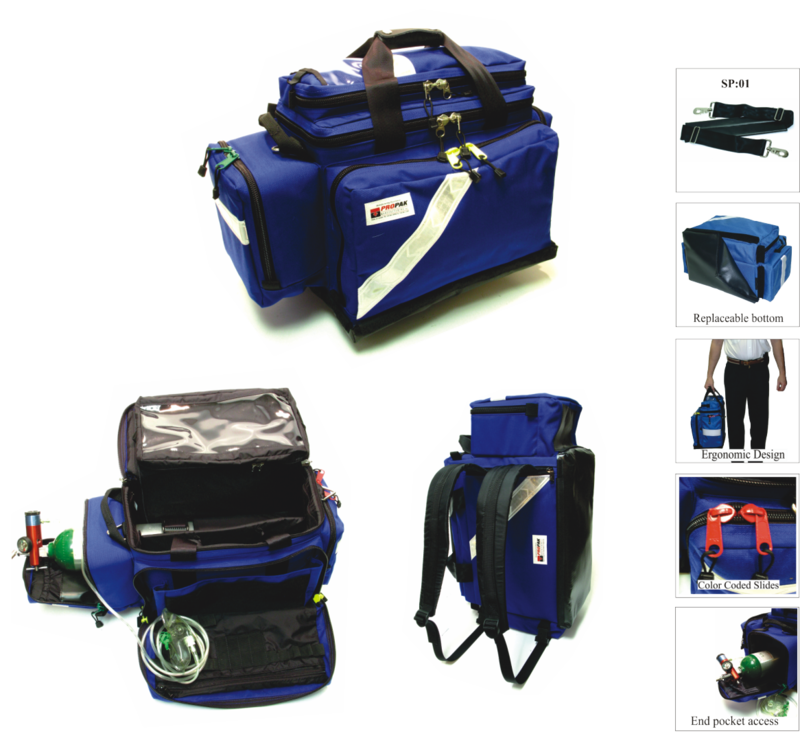 If you wish to carry oxygen the pack is equipped with both vertical and horizontal mounting hardware. 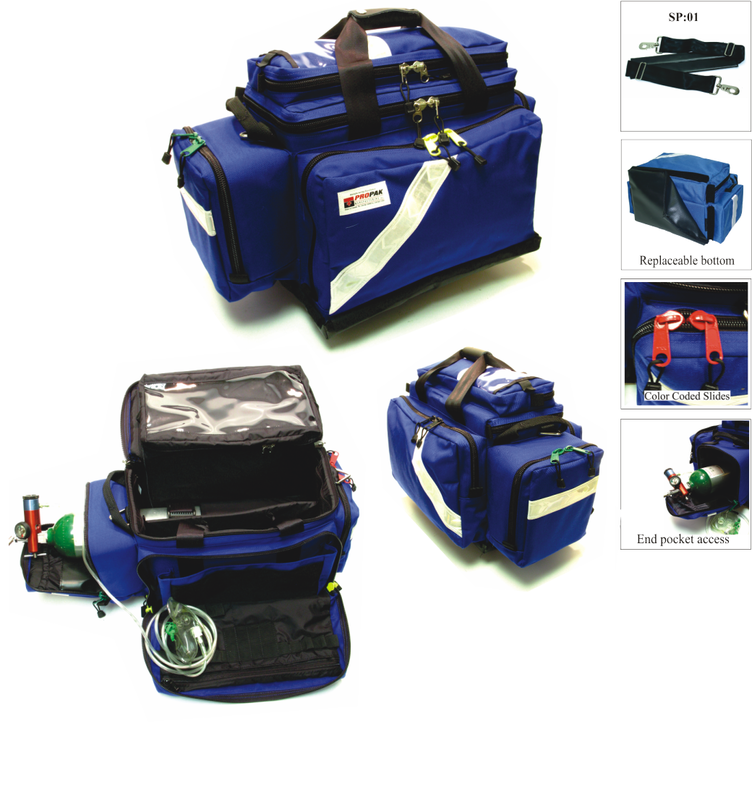 The large list of options dramatically expands the range of functions accessible with this system The PK:09 features extra side pockets and oxygen outlet through side pocket. 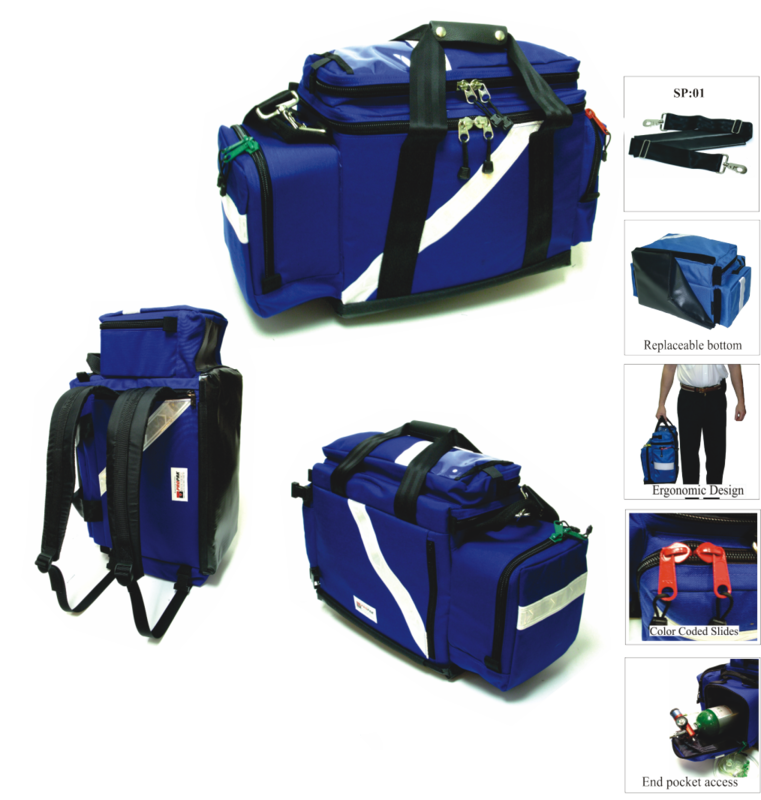 Both designs come with a very comfortable fully adjustable pack system which can be hidden away to keep the straps from interfering in calls where a pack is not required. Both the PK:08 and PK:09 can be ordered with an aluminum stayed heavy duty pack system. For use in services who find themselves requiring greater comfort when carrying for prolonged periods. 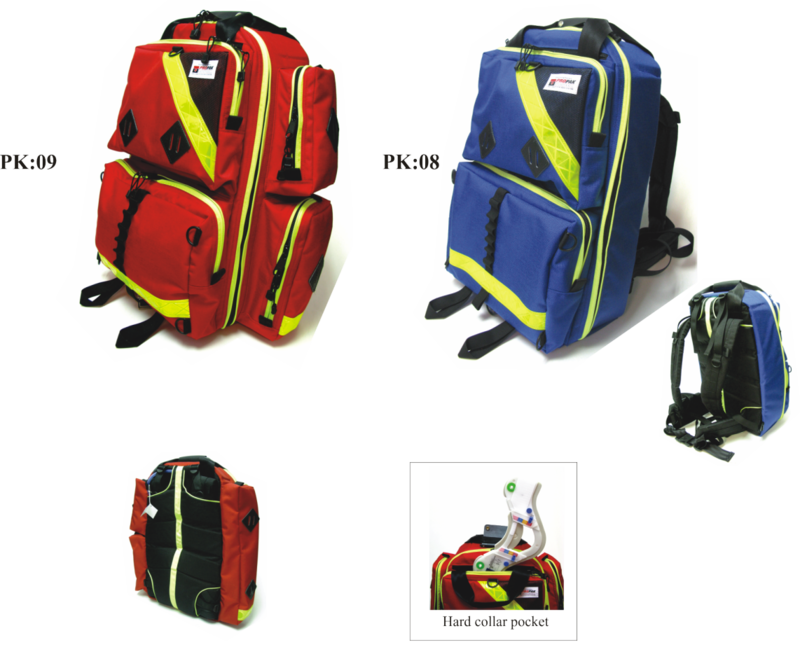 Packs are available in several colors including: red, royal, orange, teal, grey, black, green, high vis green, high vis lime, olive, yellow but generally stocked in red and royal. 5 year workmanship and materials.